Peas, Dill, Thyme, Marigold, Borage, Cosmos and Calendula. 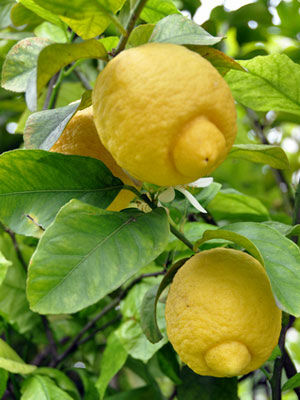 Lemons and other citrus are heavy feeders that resent close company. Grow in containers of rich compost to keep plants compact and to make it easy to bring plants indoors for the winter. Good drainage is essential.